One of the most iconic models you’ll ever see on the market is the Jeep Wrangler. This impressive SUV is one that allows you to have the fun you’re looking for when you head out on the trails and in the wilderness for some fun. This SUV now heads to the new generation but it maintains the qualities that have truly made it the iconic and impressive model that we’ve known and loved over the course of several years. This can be the right choice for you when you’re ready to head out on the roads in Lauderdale Lakes, FL. When you want the ability to leave the confines of the city to explore the wilderness and blaze a trail that’s all your own, you’re going to love to have the Jeep Wrangler as the right choice when you want to drive. 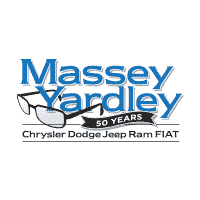 Come in and see the team at Massey Yardley Chrysler Dodge Jeep Ram Fiat in Plantation, FL when you want to figure out which version of this amazing SUV will be the right one for you to have the drive you want on the trails around Lauderdale Lakes, FL. For the 2018 model year, the Jeep Wrangler has been completely upgraded but it also maintains many of the qualities that have made this an amazing SUV for several years. This SUV is longer, wider, has updated powertrains, a new interior, an easier to fold windshield, easier to remove doors, improved off-road capabilities, and better on-road feeling as well. This SUV will be the one that feels right, performs perfectly for you and offers you the drive around Lauderdale Lakes, FL you’re going to admire and enjoy on your way to the beach for the weekend of fun in the sun. One of the most impressive changes that Jeep made for the Wrangler is the inclusion of a new four-cylinder engine. This engine offers you only a slightly lower power number than the classic V6 that we’ve known, but it brings you more torque for the ride and a lower peak for the torque rpm number. This engine is only used with the eight-speed automatic transmission and is the perfect match for you when you’re looking for a bit better fuel mileage and the capability you need in the Jeep Wrangler you want to drive on the roads in Lauderdale Lakes, FL. Let adventure take you where you want to go when you have the right vehicle for the exploration and fun you’re looking for. The Jeep Wrangler is the right choice for you and this new model is available at Massey Yardley Chrysler Dodge Jeep Ram Fiat in Plantation, FL. Stop by and take a look at all the choices you can make for this SUV and see which version is right for you. This team will have you out on the trails around Lauderdale Lakes, FL right away so that you can see what this SUV has to offer you.